Image courtesy of JoAnn Falletta. The Long Beach Symphony will conclude its 2016-17 Classical concert season on June 10 at 8:00PM at the Terrace Theater of the Long Beach Performing Arts Center with a homecoming performance by JoAnn Falletta, who served as the symphony’s music director from 1989-2000. Falletta sold out the Long Beach Performing Arts Center and heralded in an era of premiers, commissions and a celebration of living composers, according to the symphony. Her Saturday concert with Long Beach Symphony will be the first time she has led the orchestra since she left as music director in 2000. Falletta will open with four movements from Shostakovich’s The Gadfly Suite, arranged for the 1955 Soviet film The Gadfly and based on the novel of the same name by Ethel Lilian Voynich, featuring a violin solo to be delivered by the Symphony’s Concertmaster, Roger Wilkie. Maestra Falletta will follow with her own compilation of Prokofiev’s Suites 1-3 from Cinderella. After intermission, she will be joined by guest pianist, George Li, a 21-year-old prodigy whose technique, distinctive tonal quality and exceptional musicality have earned him a Silver Medal at the 2015 International Tchaikovsky Competition and consistent critical acclaim, according to the symphony. Together, they will close the Symphony’s season with Tchaikovsky’s majestic Piano Concert No. 1 in B-flat minor. 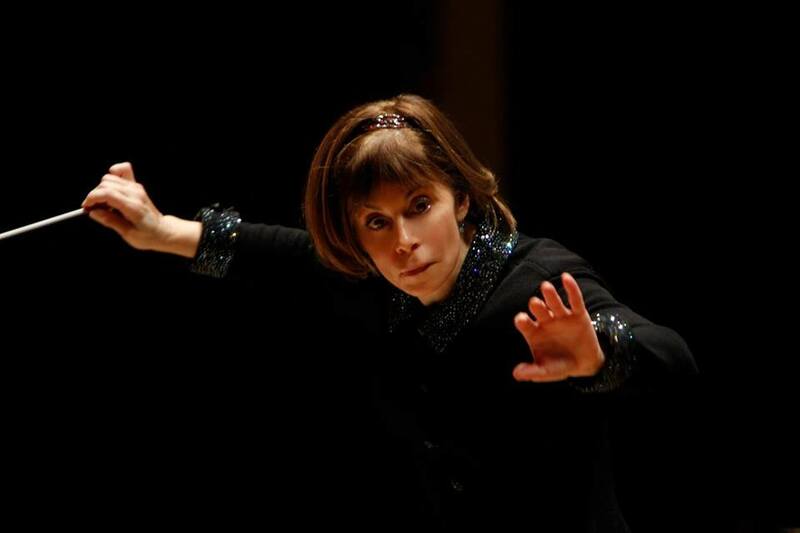 As music director of the Buffalo Philharmonic Orchestra and the Virginia Symphony Orchestra, Falletta was described by The New York Times as “one of the finest conductors of her generation.” She has guest conducted over 100 orchestras in North America, and many of the most prominent orchestras in Europe, Asia, South America and Africa, according to the symphony. Not to mention, Falletta is the recipient of 12 ASCAP (American Society of Composers, Authors and Publishers) awards, has introduced over 500 works by American composers, including more than 110 world premieres. “Long Beach Symphony was the first regional orchestra to appoint a woman as its music director in 1989, and we are honored to welcome her back to lead our season finale,” Kelly Lucera, the symphony’s executive director, said in a statement. A pre-concert talk by Maestra Falletta and music in the lobby by the Poly High School String Quartet – part of a longstanding program offering Long Beach students the ability to perform before Long Beach Symphony concerts, will take place at 7:00PM. The symphony’s 2017-18 Classical concert series will begin October 7 when Maestro Eckart Preu, the new music director, will take the podium, marking the beginning of a new era of orchestral music in Long Beach. Tickets to the Long Beach Symphony’s Classical concerts start at $25; student tickets are available for $10. For more information, or to purchase tickets and subscriptions, visit the website here. The Terrace Theater is located at 300 East Ocean Boulevard.